If your looking for that last minute gift for the golfer in your life look no further than our 2010 Holiday Gift Guide. These are things I’ve been given or reviewed over the last year. So here it is! Most golfers use a coin or a plastic marker while marking their ball on the green. 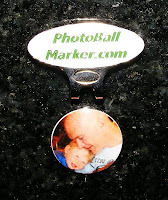 Now you can design your own photo ball marker in minutes at PhotoBallMarker.com. At $24.95 for a three custom made ball markers this is a great and thoughtful gift for the holidays. Love mine and use it all the time great for Dads! 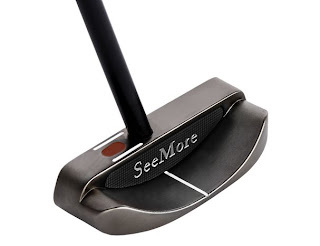 If your a high handicap golfer like me and struggle with putting look no further than a SeeMore putter. I did a review of the SeeMore Si1 in the Spring and it has stayed in the bag all season long. Their patented RST technology is great for those struggle with alignment, I love the technology. Hide the red dot and put a good stroke on the ball. You’ll definitely put a smile on the face of a golfer who struggles with putting with one of these under the tree. Their Si series runs from $165 USD. Just received a nice Christmas gift from Quagmire Golf, ColorFusion shirts for the whole family. I can’t wait for the kids reactions on Christmas. These shirts are not only fun with crazy fabrics that change colour in the heat or sunlight but they feel and look cool as well. They run about $25 CDN and up for kids and $31 CDN and up for Moms and Dads. Most golfers done think of their grips but it’s the only contact you have with your clubs. If you want a unique grip that looks great look no further than the BestGrips.com Gridiron grips. Did a review earlier in the year and love these on my Scratch wedges. 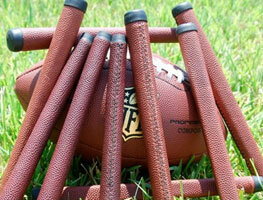 A Gridiron grip will run you about $16 USD and they fit easy in a Christmas stocking. For the golfer that has everything get him or her a pair of Kikks from Kikkor Golf. Did a review of their Eppik Blaze model in the Spring, these shoes are an alternative to the boring/regular golf shoes that are out there. A real comfortable golf shoe. Their 2011 models again look amazing be like Santa and think outside the box. 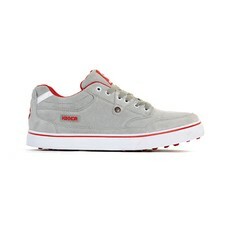 Kikkor golf shoes will run you about $95 and up although there are a few sizes on sale right now. Is it me or are these just all the items you reviewed this year in a list? Did anything you reviewed not make the list? Read the post these are things I consider a good Christmas gift either I was given them or reviewed them! Thank you for the tip on the picture ball marker. I have a boy less than 2 years old and I think that would be a great gift. Other than work, I am not away from him for long periods of time, so to see his face on the course throughout the day might just help my game.